One of the best things I ever did was start decluttering but I know it’s hard to know how to go about it to make sure it’s a success. 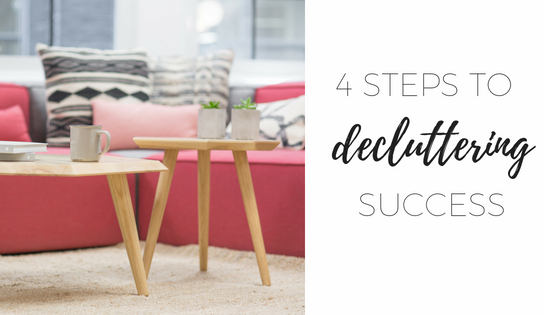 Check out my 4 steps to decluttering success so that you can get rid of the stuff for good. Getting rid of the physical things that did not serve me made such an enormous difference to my mental state. I actually didn’t realise just what all that ‘stuff’ was doing to me. When we had a garage sale two years ago we literally filled an entire garage with things. A WHOLE ROOM of things we didn’t need or love that was just taking up space, having to be cleaned and stored and kept tidy. Getting rid of it all felt like a giant weight had been lifted off my shoulders. But I know that when you’re overwhelmed, the thought of decluttering can be just too much. You go in all gung-ho and then it seems like you’ve just created more mess instead of actually getting rid of stuff. 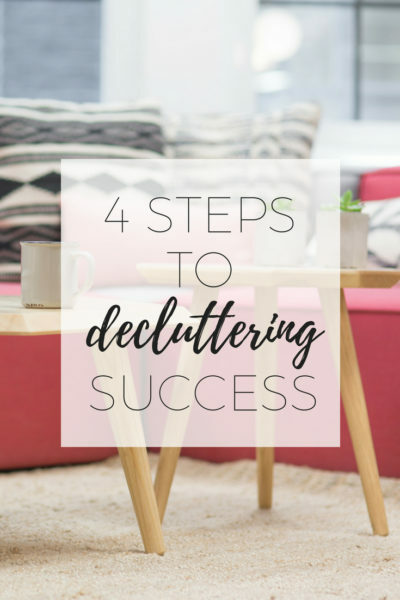 That’s why it helps to have a plan and that’s why I’m sharing my 4 steps to decluttering success. One of the reasons people fail at decluttering is that they don’t plan what they’re going to do with all the stuff they’re getting rid of. Ditch – stuff that’s going in the bin. No one will ever use it. Donate – stuff that you no longer want in your house but someone might find useful. Sell – stuff that you no longer want in your house but someone might find useful and is worth your time to list on Gumtree or Facebook marketplace to sell. We’ll see – stuff you’re not sure if you will miss or not. When you’re first starting out and you feel like you’re drowning in clutter, it can be really hard to pick a place to start. I recommend choosing somewhere like your bedside table or the top of your dresser. Choose a space that seeing it decluttered will make you smile. Once you see what a positive effect the lack of clutter has on you, you’ll probably want to keep decluttering. The key is starting small. 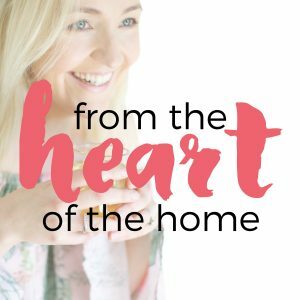 For more ideas on where to start, check out the From the Heart of the Home podcast. – Take everything out of that area and lay it all out so you can see it. – As you take things out, do your first check, if it’s something you love and would never get rid of then put it on the keep side, if it’s broken, straight in the bin. If it’s a yes then it can stay. If not, then I’d seriously consider getting rid of it. Have one last look over everything that remains and make sure it’s all items that you love an you can actually use. Give the space you’ve just cleaned out a wipe down and then return all the decluttered items. Don’t let the clutter come back into your life. Want a bit more detail on each of the steps? 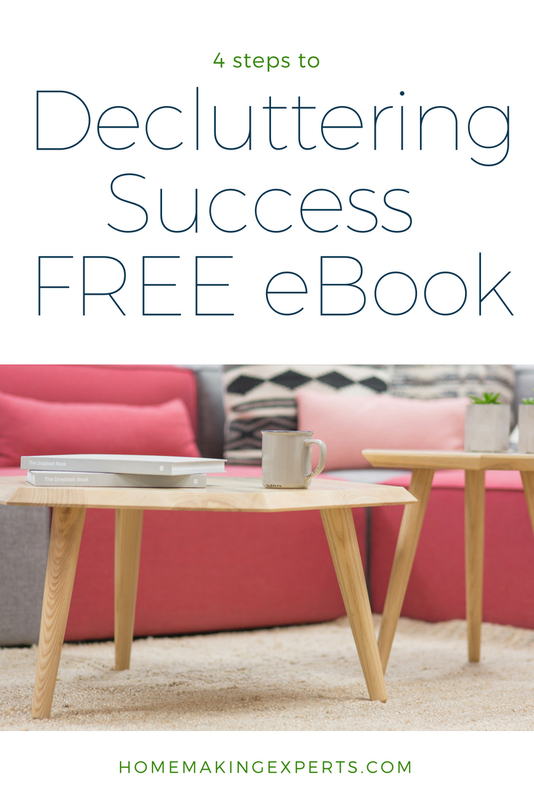 Grab my free decluttering eBook. 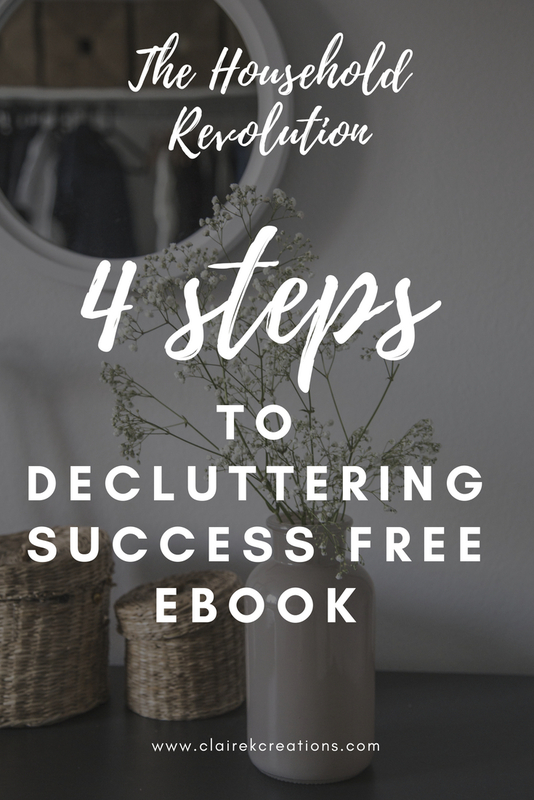 If you’re completely overwhelmed by clutter and want help finding the calm, then I’d love to have you inside The Household Revolution Membership. 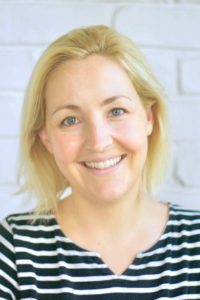 When you join, you’ll get instant access to a stack of resources to make motherhood simple including my decluttering workshop.